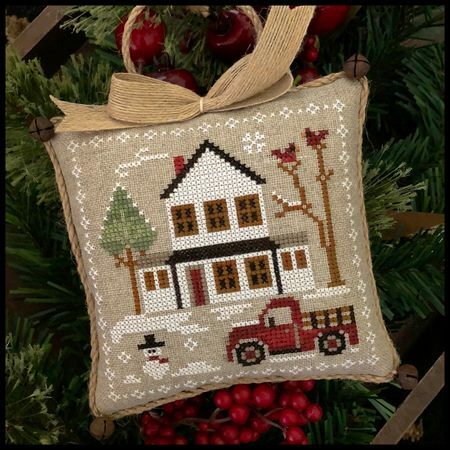 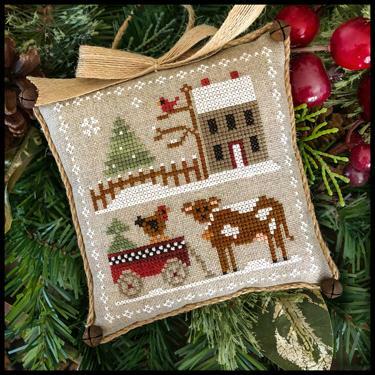 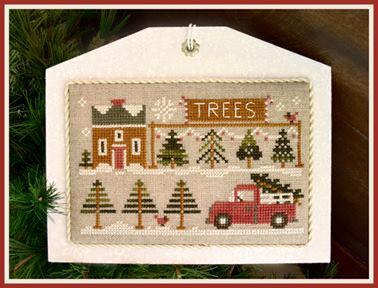 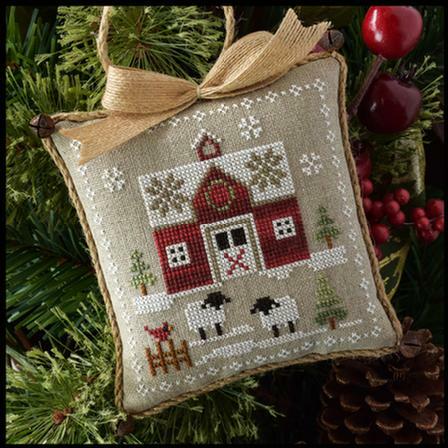 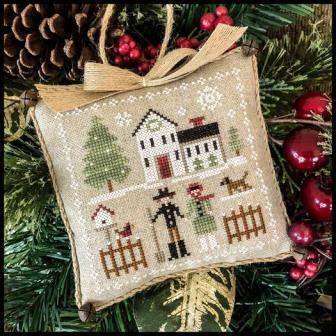 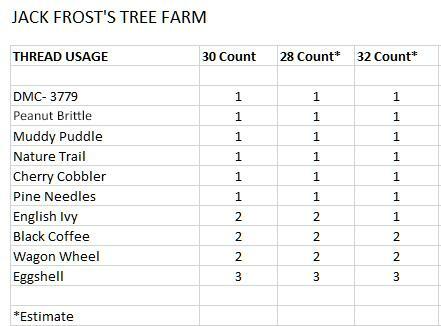 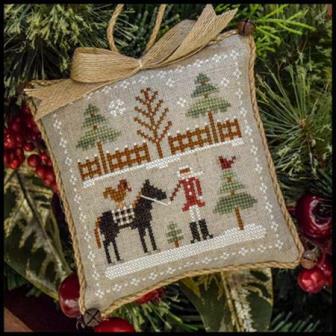 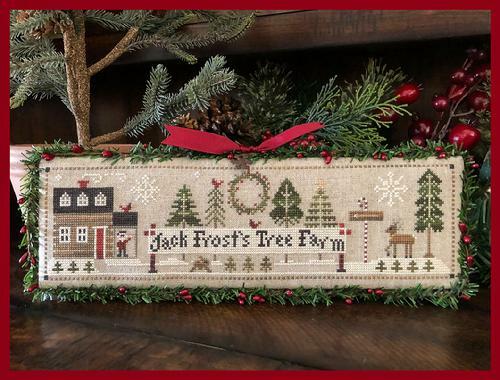 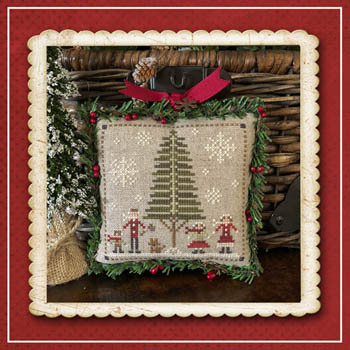 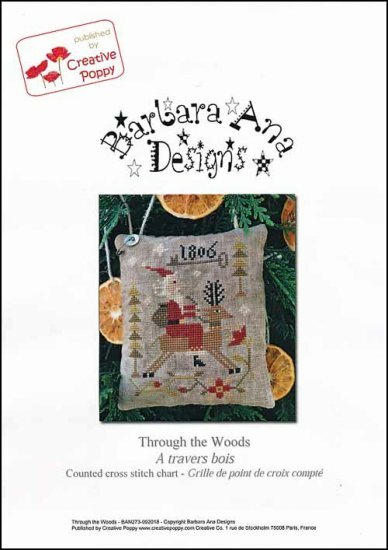 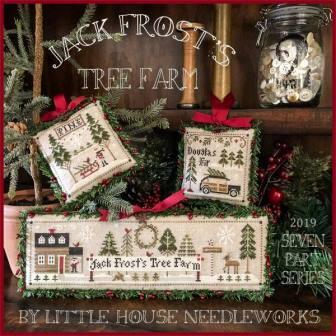 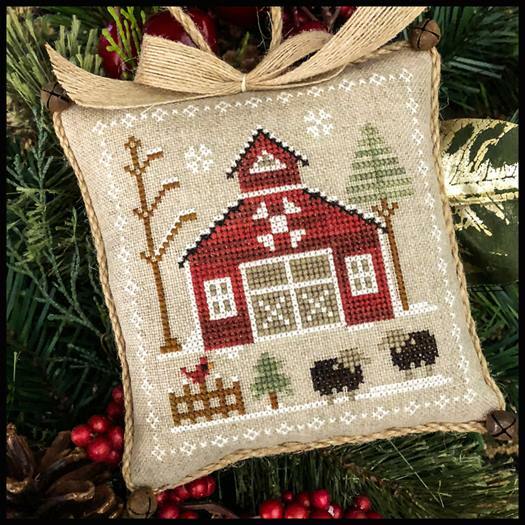 Jack Frost's Tree Farm 2019 Seven Part Series Beginning in February! 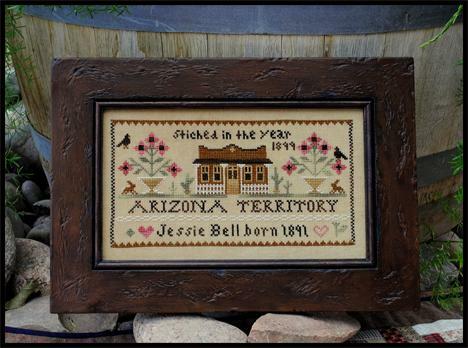 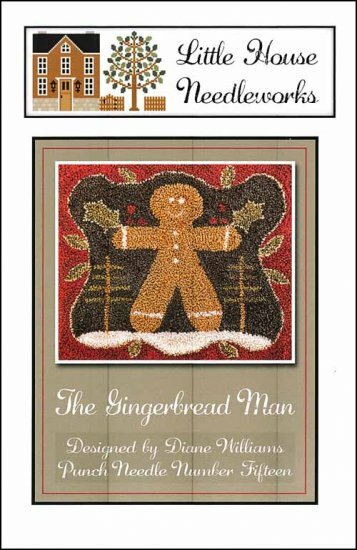 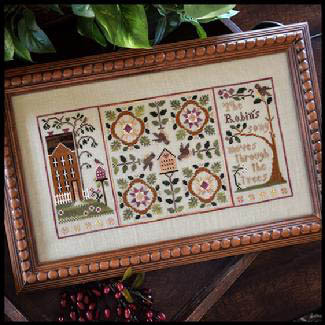 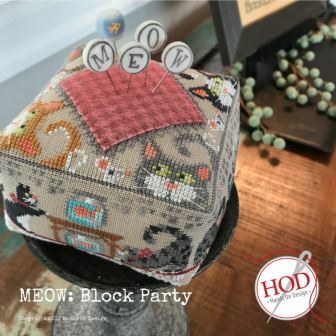 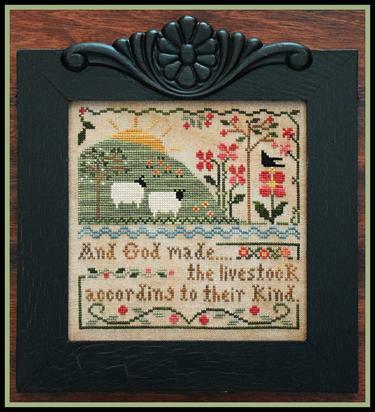 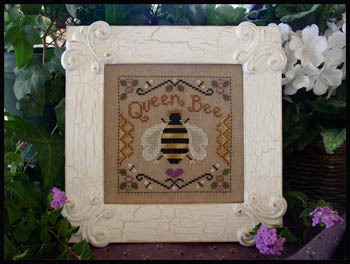 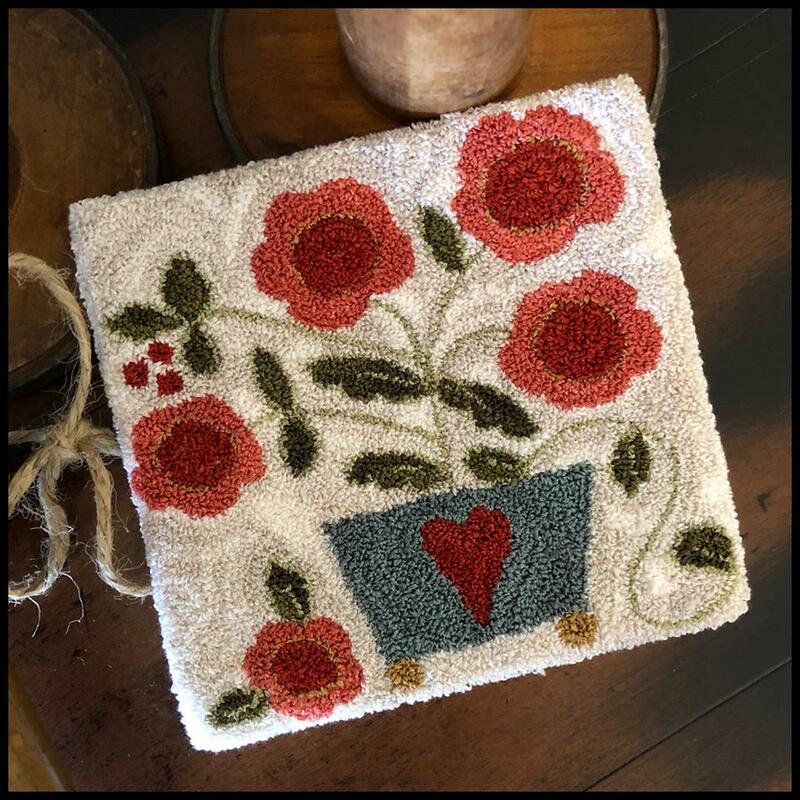 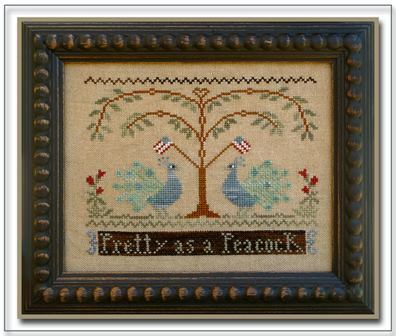 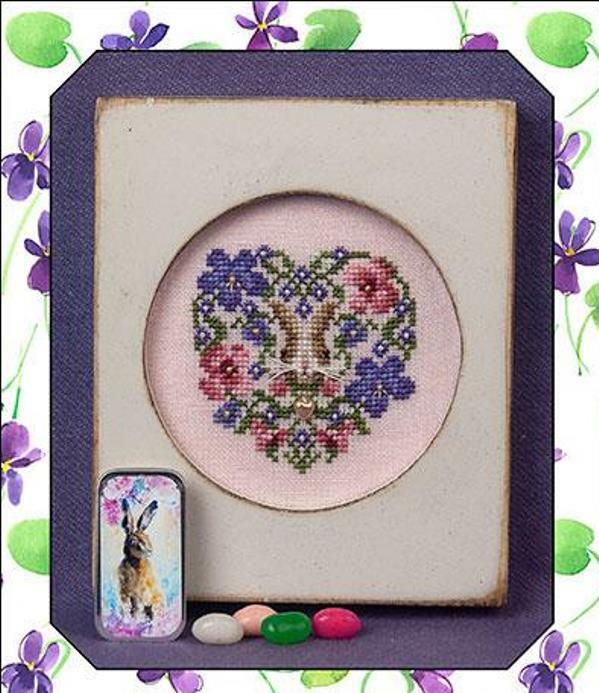 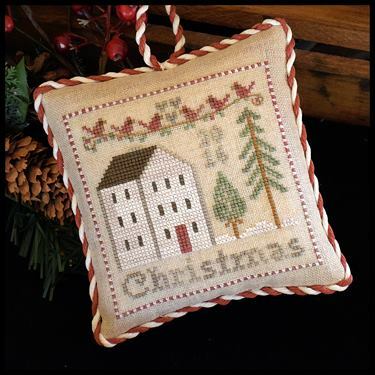 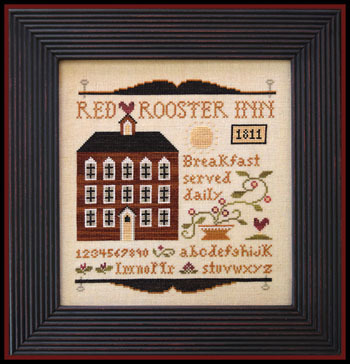 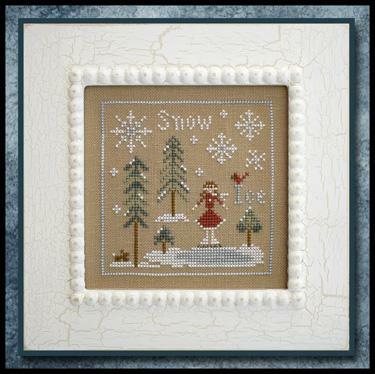 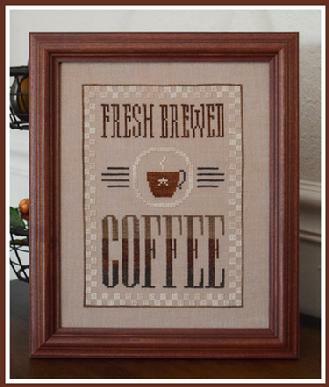 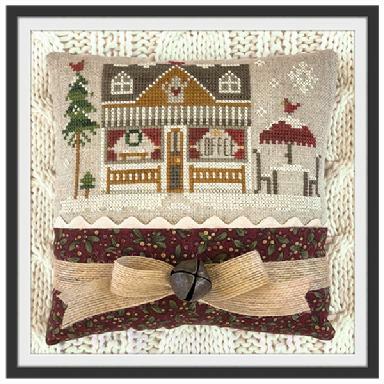 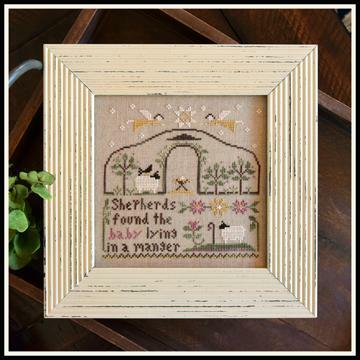 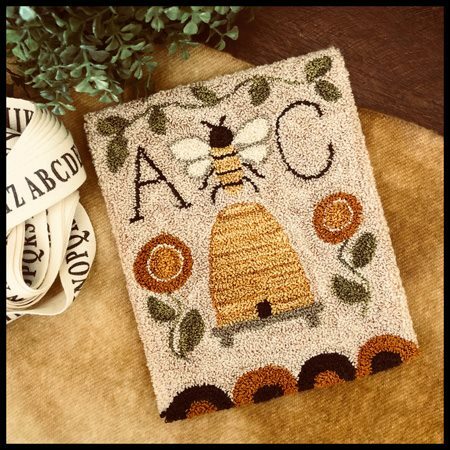 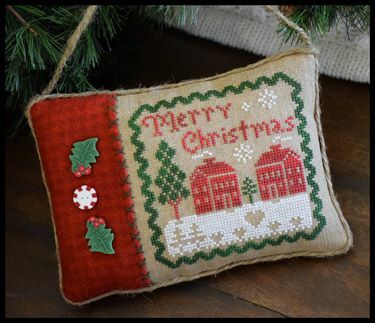 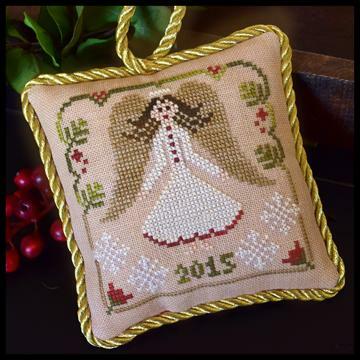 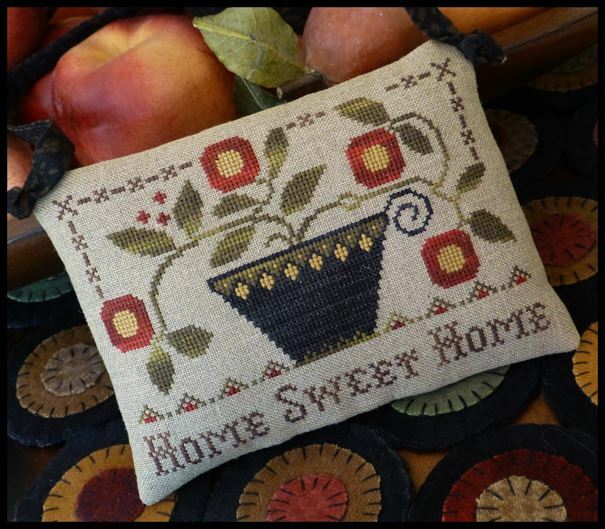 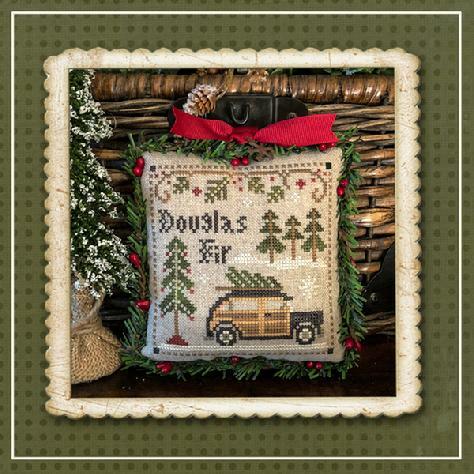 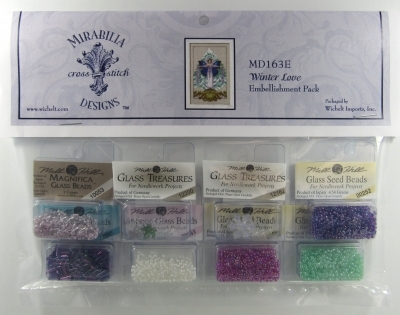 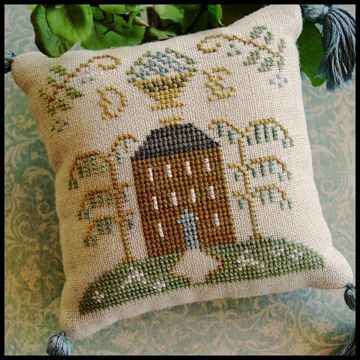 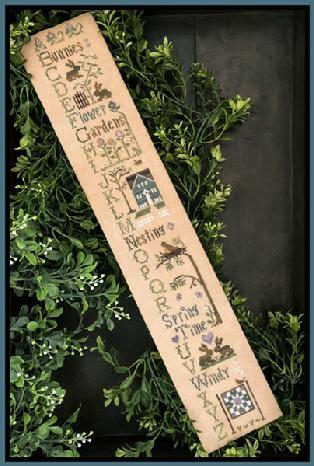 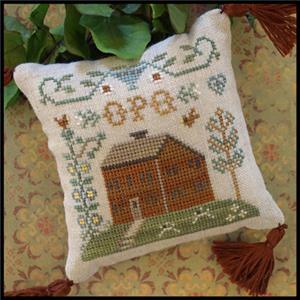 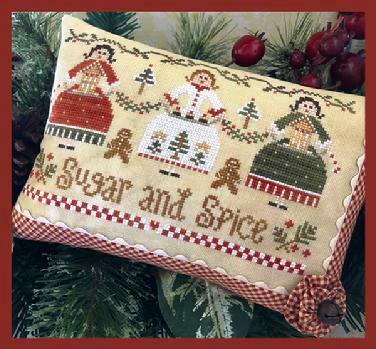 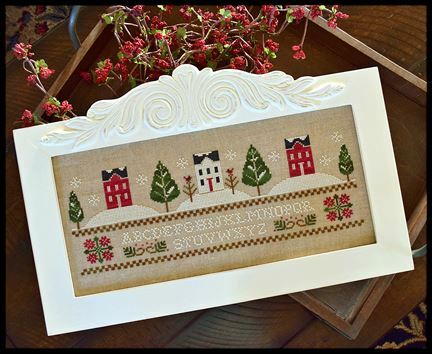 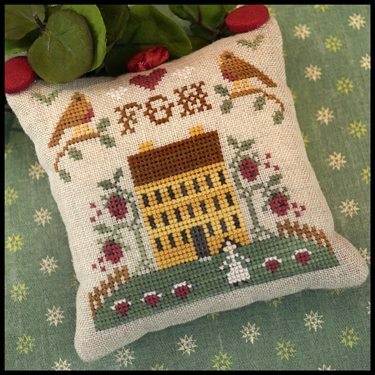 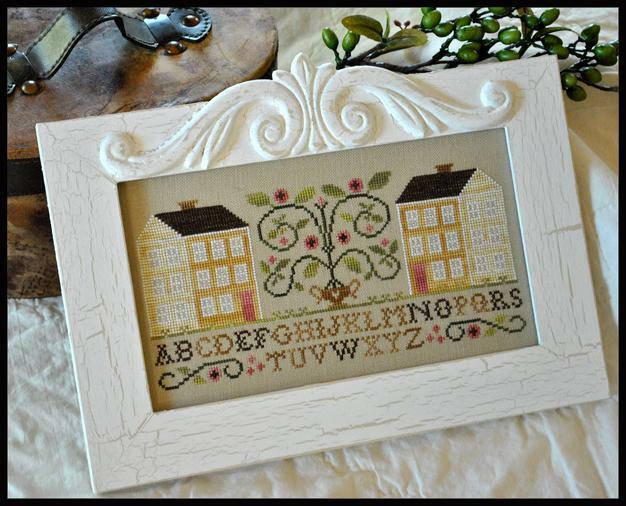 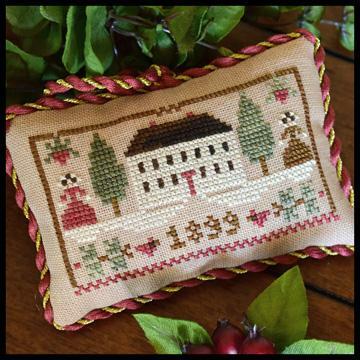 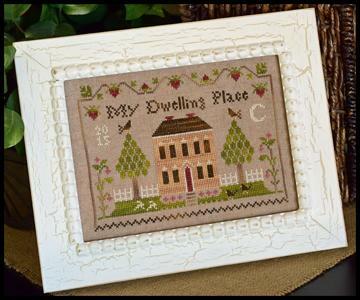 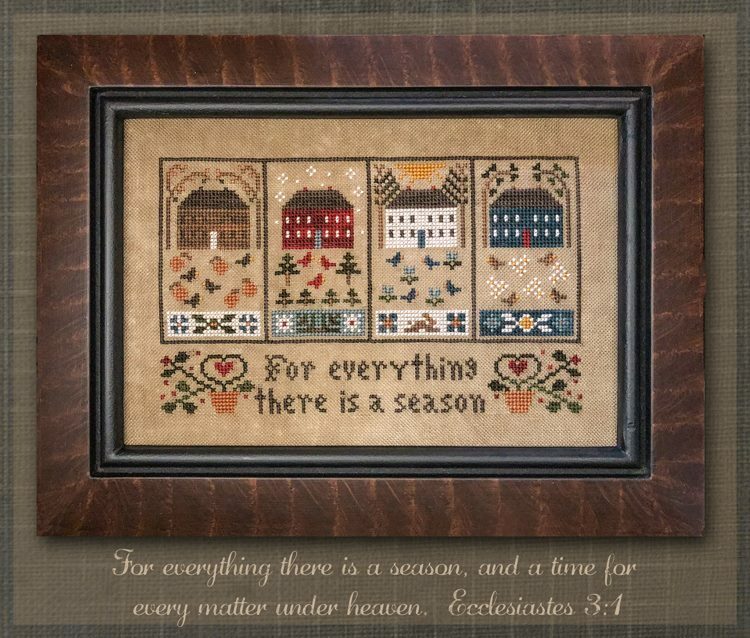 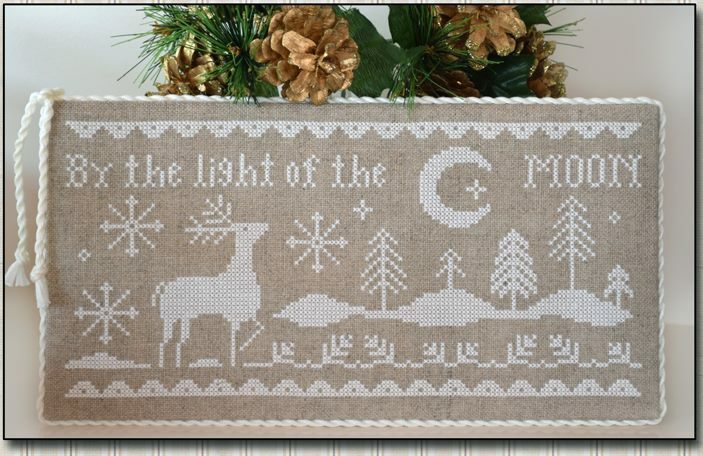 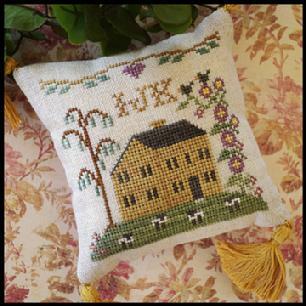 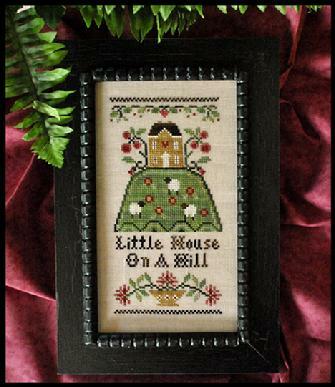 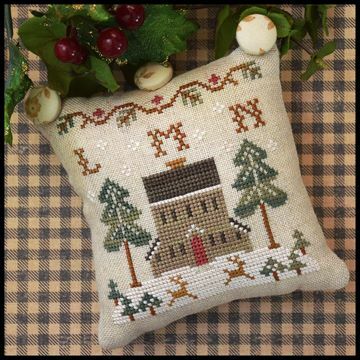 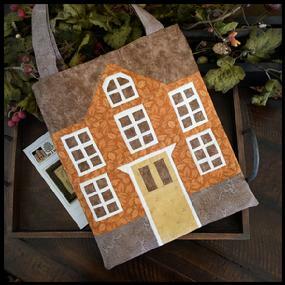 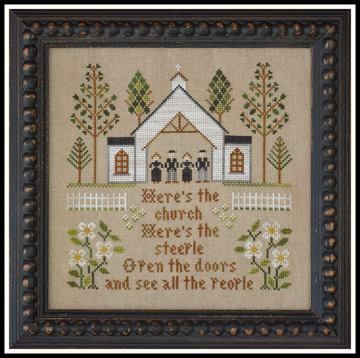 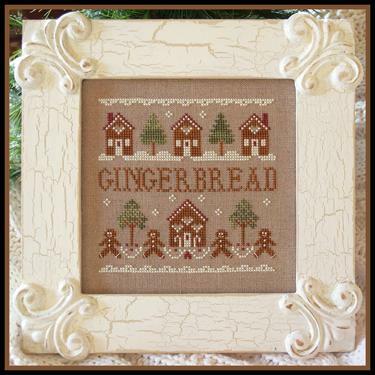 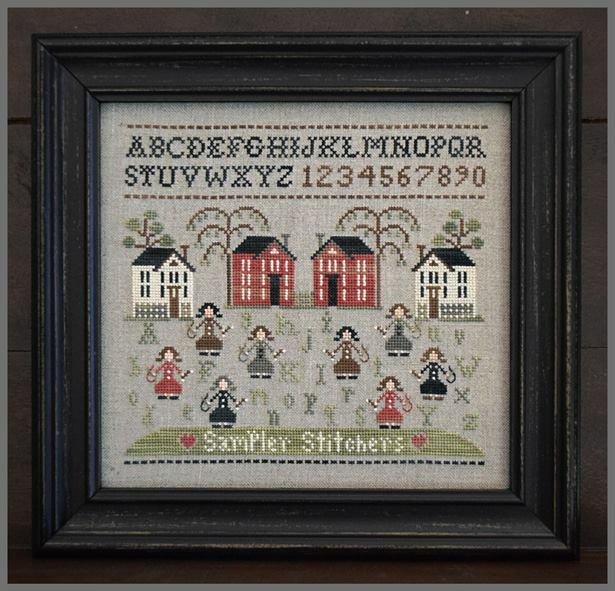 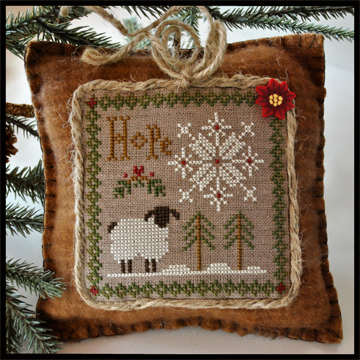 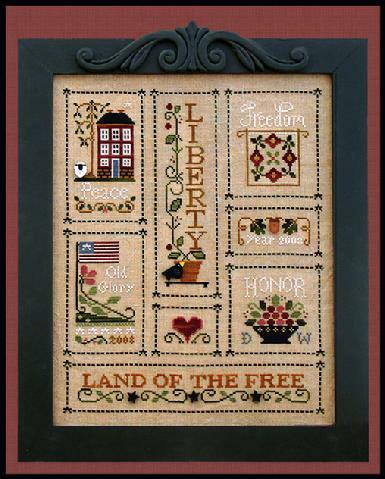 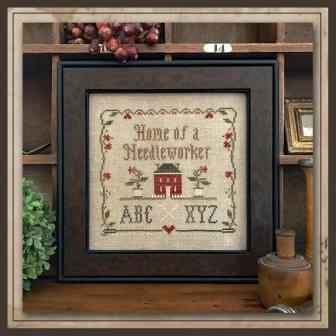 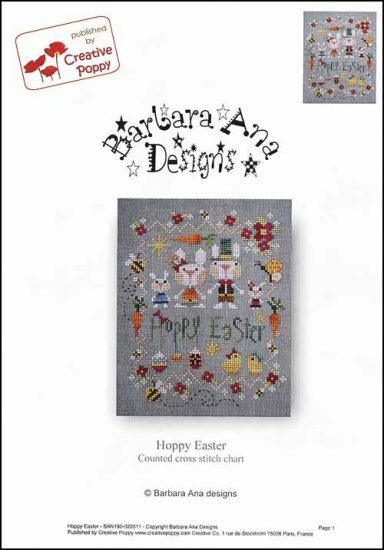 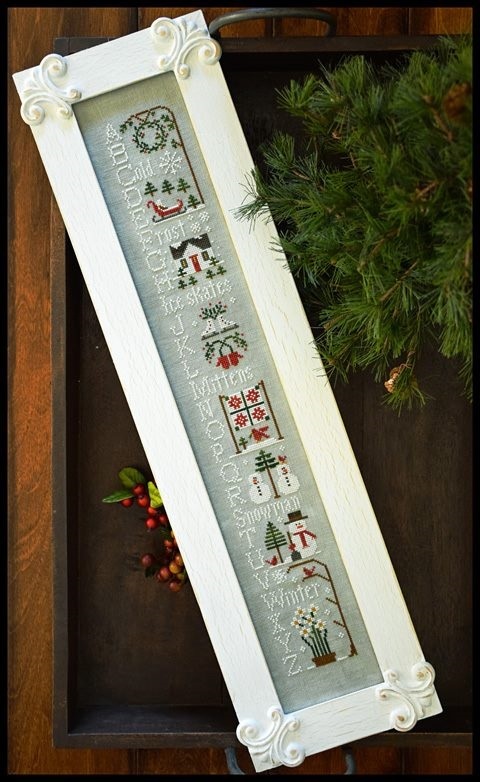 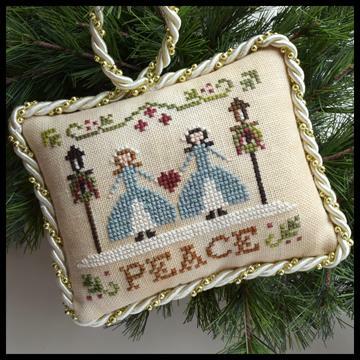 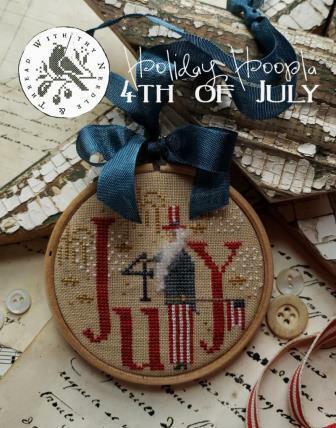 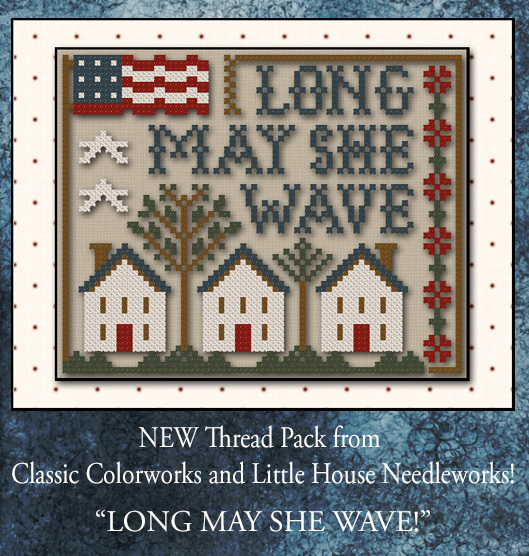 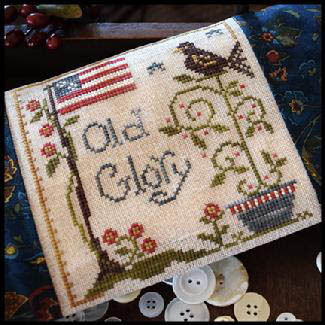 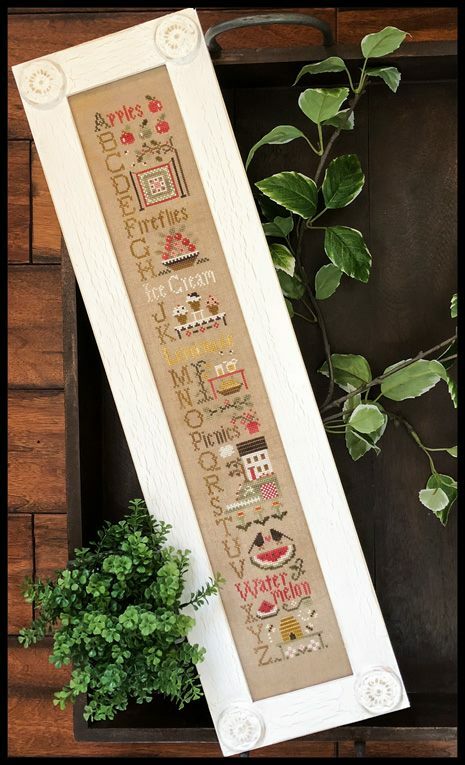 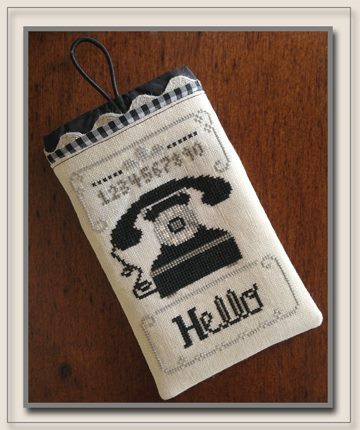 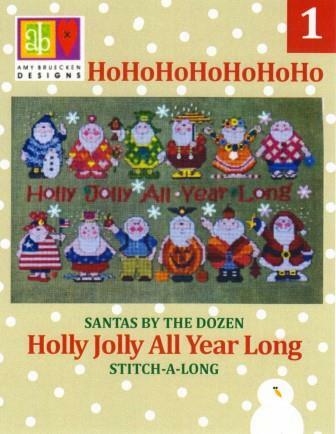 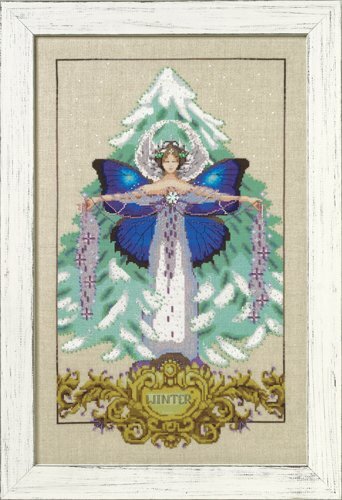 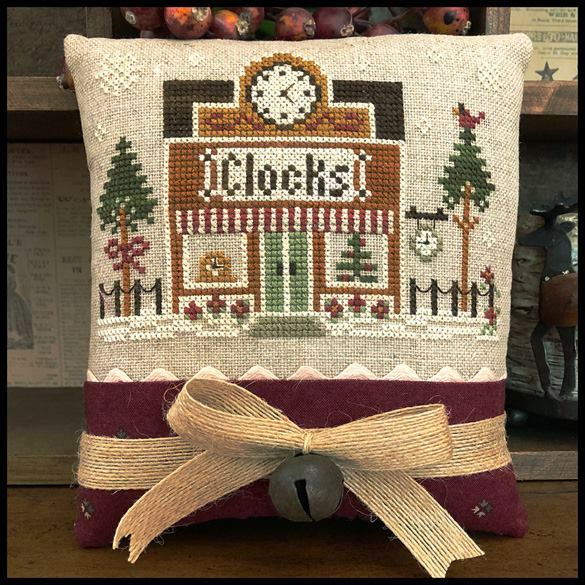 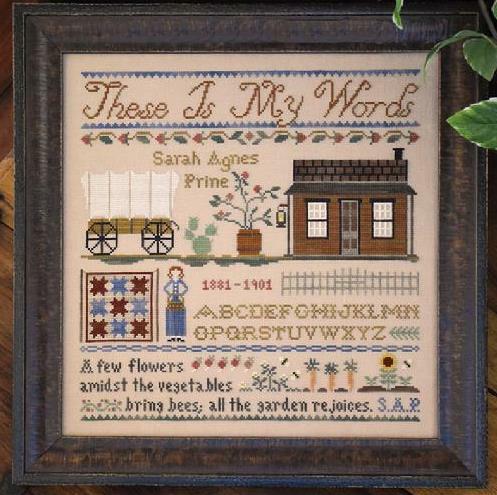 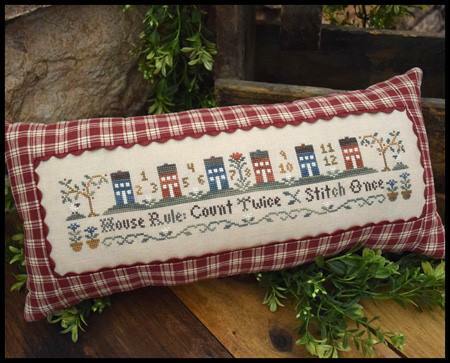 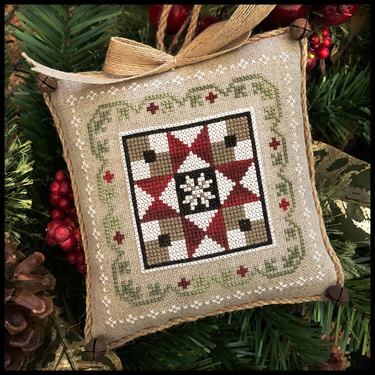 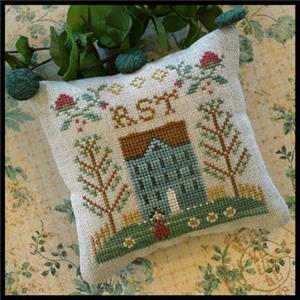 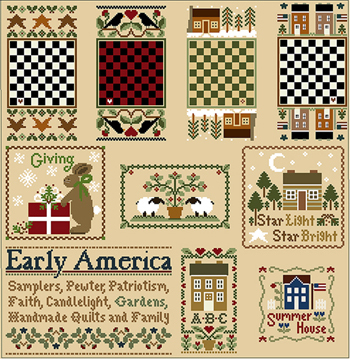 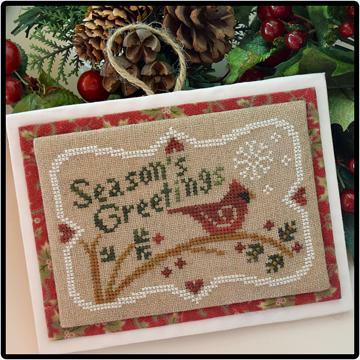 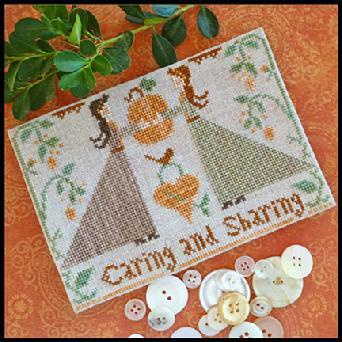 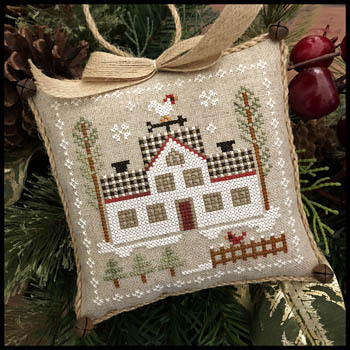 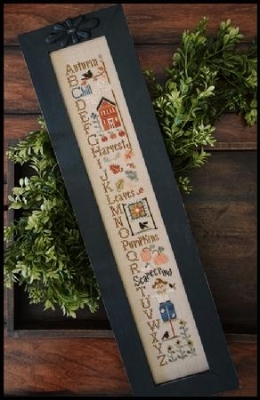 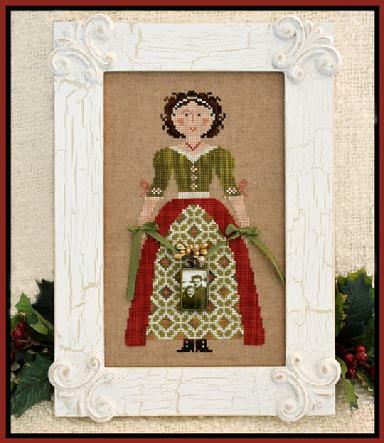 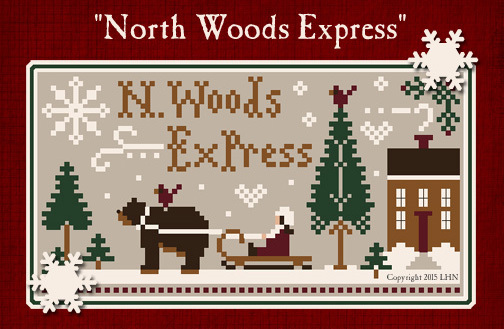 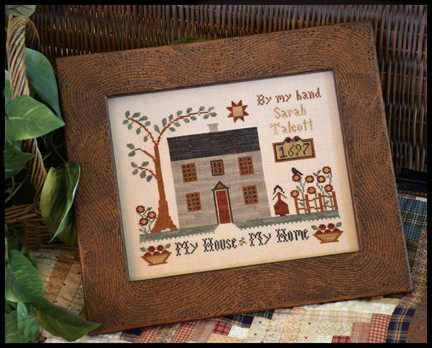 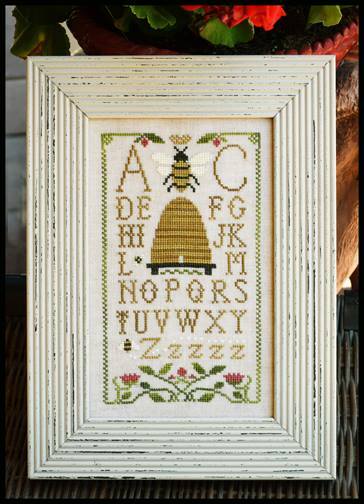 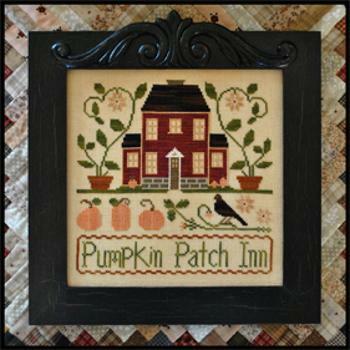 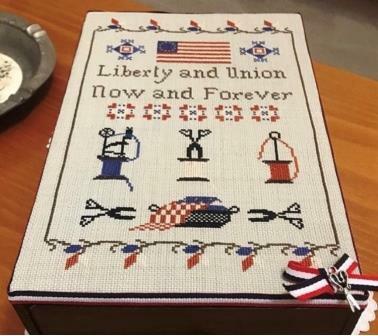 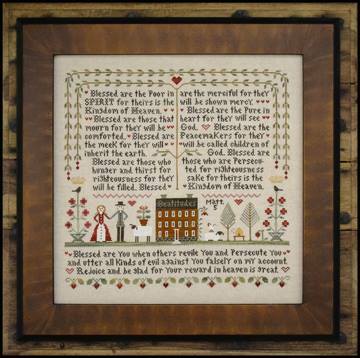 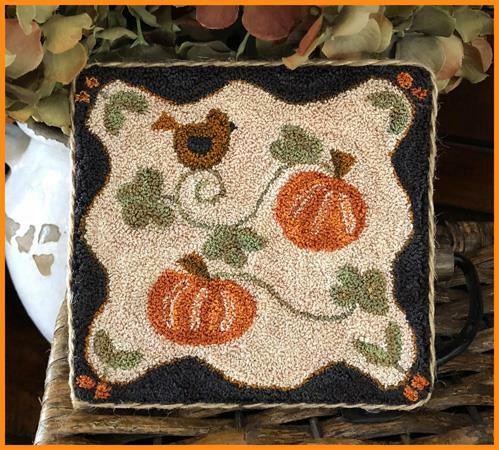 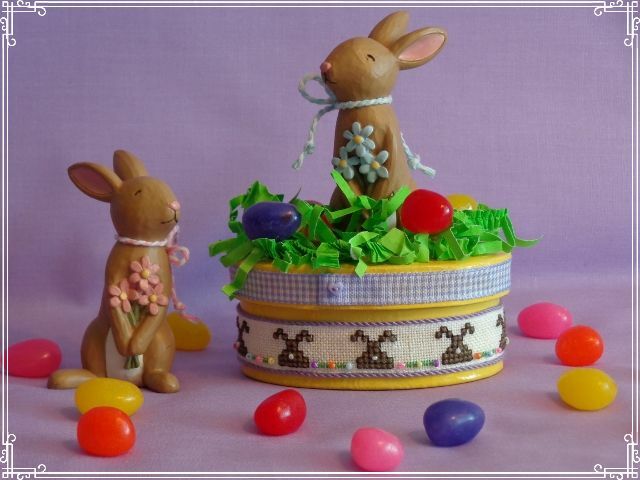 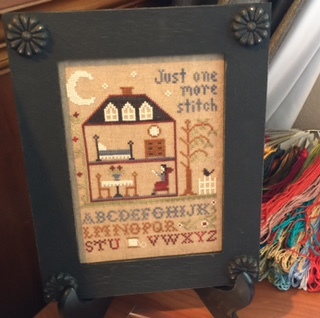 If you wish to stitch all of the designs together the entire finish will measure 183 stitches wide by 173 stitches high or 12-1/8” x 11-1/2” on 30 count linen. 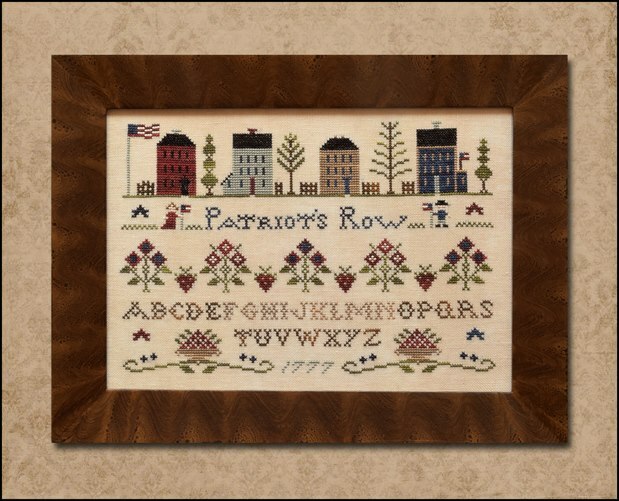 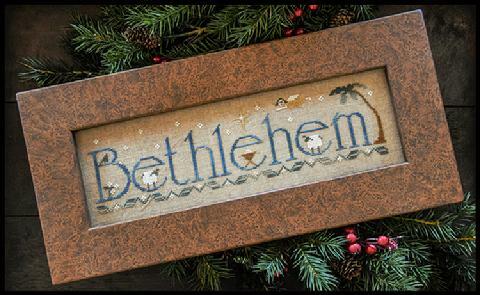 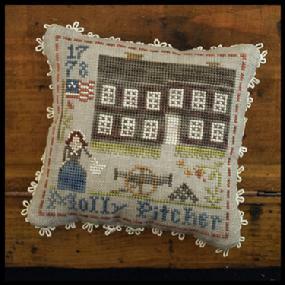 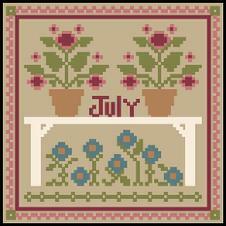 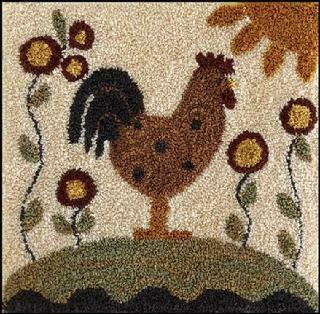 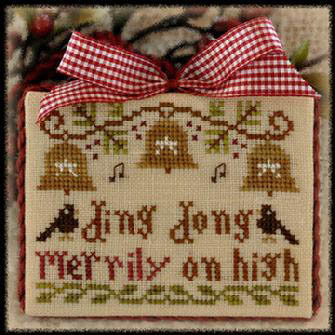 The wide design sits at the top and is centered if stitching all seven on a whole cloth. 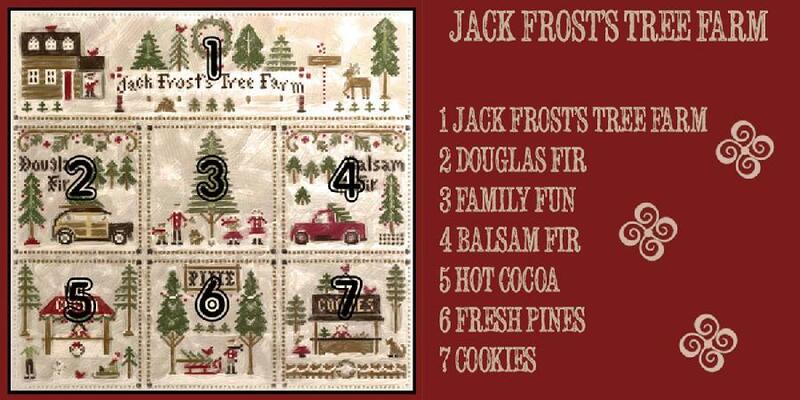 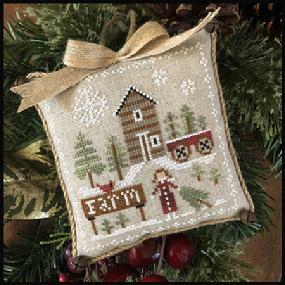 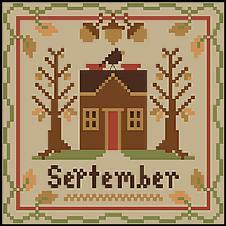 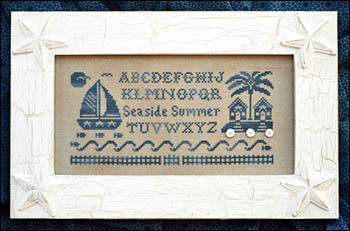 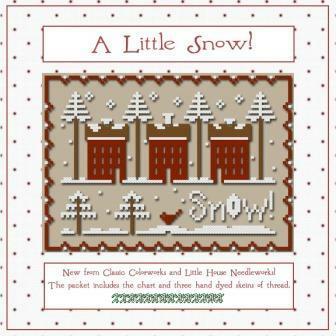 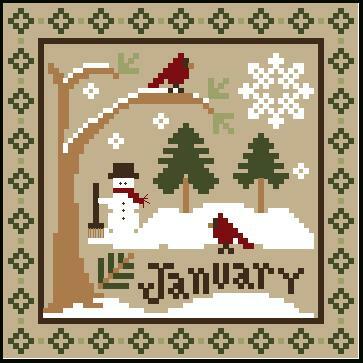 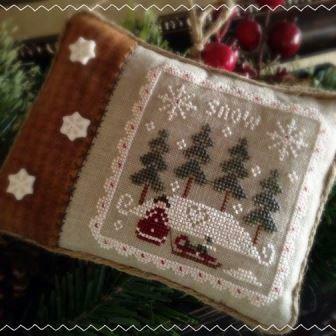 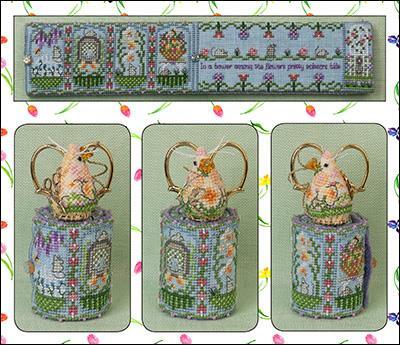 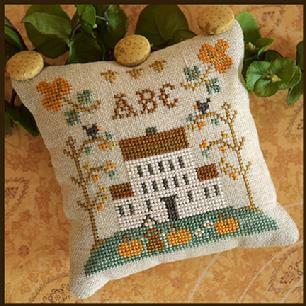 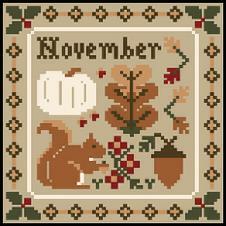 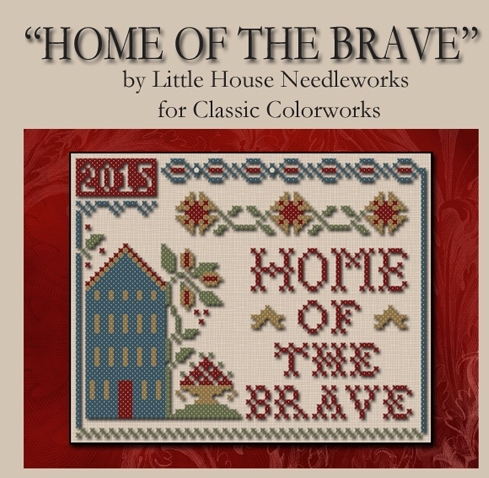 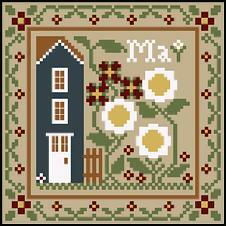 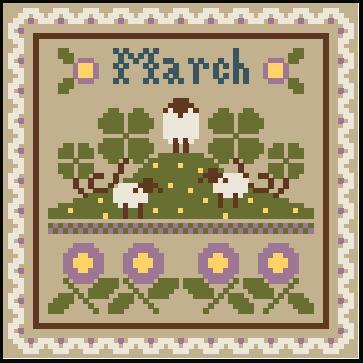 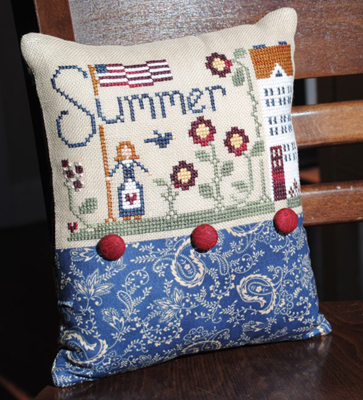 The remaining six designs are 59 stitches square and sit in two rows beneath part number one, three designs to a row. 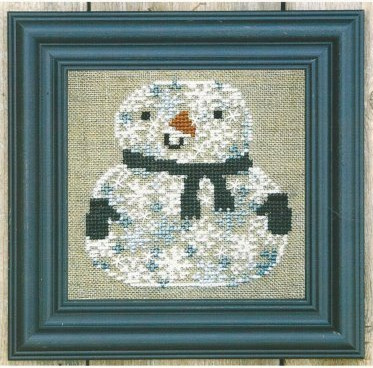 Leave three empty stitches beneath design one and three empty stitches between the squares in the rows.